We love a good cocktail or a nice glass of wine around here. And while we enjoy a new concoction, there are so many great classic cocktails that seem to be getting left behind. With the resurgence of whiskey and bourbon, a classic Whiskey Sour is a great cocktail for everyone, men and women alike. Most modern cocktails are interpretations or twists on the classics Learning the classic cocktails provides a great base from which to expand your mixology repertoire. Classic cocktails are great building bases. 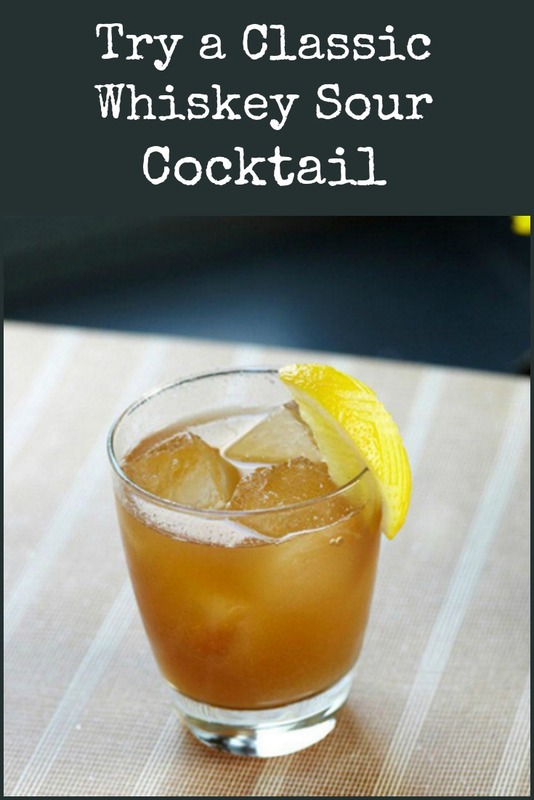 A classic Whiskey Sour is a great beverage for men and women that most people love. Combine all ingredients into a shaker. with ice. Shake well. Garnish with a lemon wedge or a cherry and serve. See how easy it is to make a classic Whiskey Sour cocktail? A couple of tips – because the drink is so simple, you really need to use a whiskey that you enjoy drinking. Make sure that your lemon juice is good quality, too. This is one of the times that fresh lemon juice really makes a difference, and you can adjust the sweetness with more or less simple syrup.